In 2014, we saw price per square increase over the previous year and inventory move at a faster pace. 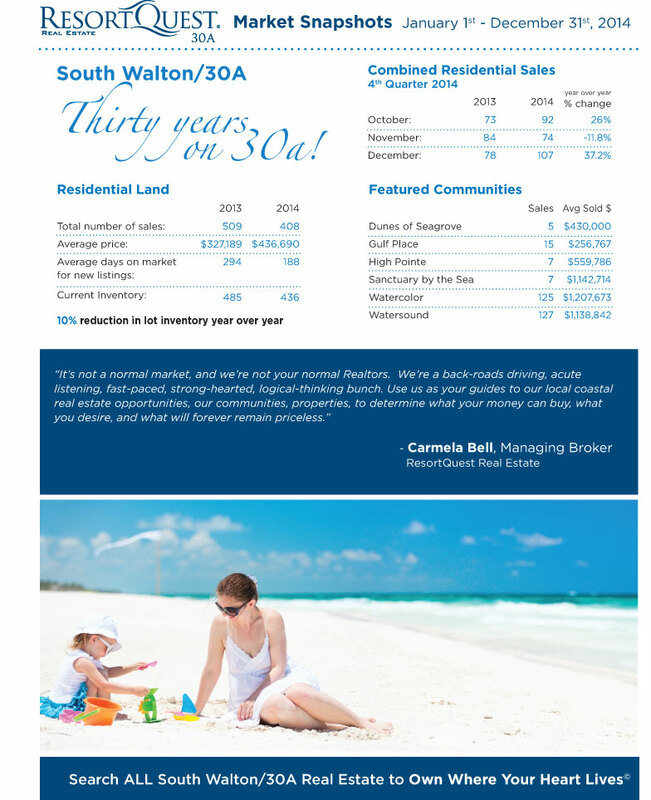 Read on to learn more about the 2014 real estate market along 30A. 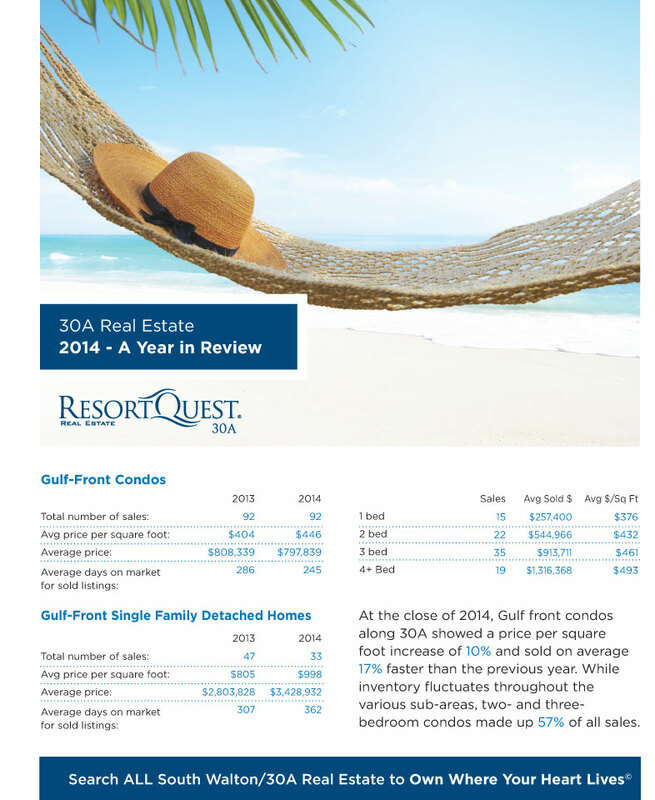 For more detailed information about the sales listed below or current inventory, contact a ResortQuest Realtor for the most up-to-date information.